The shape of the perforations enables the discharge of supply air with a high-performing clockwise swirl and this generates excellent induction of the room air. LOCKZONE C is therefore well suited for both the discharge of air below room temperature and variable airflows. Rectangular perforated supply air diffuser consisting of two parts: a backing box and a diffuser face. The diffuser face has guide vane perforations arranged in a radial pattern for swirl diffusion. The diffuser face is equipped with hinges on one side and is fastened by means of springs on the opposite side. This fastening technique, called Quick Access, lets you open and close the diffuser face quickly and with ease to install, commission or clean it. The diffuser is also available in a low design where short overall height is required. The diffuser is then supplied without connection branch (not for size 400-600). The diffusers have been designed with all parties in mind, to be as cost-effective as possible and to ensure that from installer to end user, the diffusers are as simple as possible to install and maintain. The CC range has been designed to achieve a high level of performance. The 5 different faceplates available cater to a variety of applications. Their design has taken into consideration the installation process, ensuring this as seamless a task as possible. These diffusers have been designed with all parties in mind, to ensure that from installer to end user, every individual can achieve optimum comfort. All diffuser faceplates are manufactured with hinges that clip smoothly into the backing box. The face can be easily unhinged with a Quick Access card to enable installers or maintenance personnel to access inside the ductwork when necessary. The ALS Commissioning Box has a unique design for the CC range, to further make installation as simple as possible. 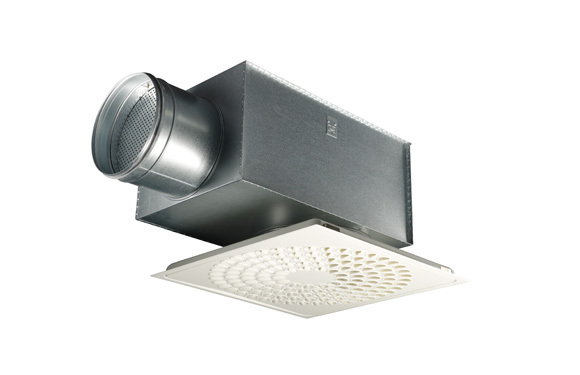 The box has been designed to allow true 360°C rotation so that the box can be fitted to the diffuser from any direction – making the most of increasingly small and complex ceiling voids. There are a variety of slot and spread patterns available depending on the diffuser selected. The disc diffusers, in particular, allow for the most flexible spread pattern. The positioning and direction of the discs can be easily changed to cater to the occupants needs. The faceplates have also been designed in a way that means the diffusers can handle larger temperature differences. The shape and slot positions allow for a large range of air temperatures to pass through, whilst maintaining an even distribution of air into a space resulting in optimum air quality. Our ALS commissioning box not only makes for easy commissioning, but also helps to improve the indoor environment and comfort and well-being of a building’s occupants. Internally, the ALS box is perforated which makes the diffusers even quieter – an ideal choice for an office or conference room.